“Live Green” will serve as the focus for the 25th anniversary of the annual Michiana bioregion celebration for the Earth and Arbor Festival set for exactly one month, Saturday, April 21st, 9:00 am to 2:00 pm at South Bend’s Howard Park along the St. Joseph River. New Wayfinding signs have been recently installed, joining the Bicycle Friendly Community signs which were erected earlier this spring. 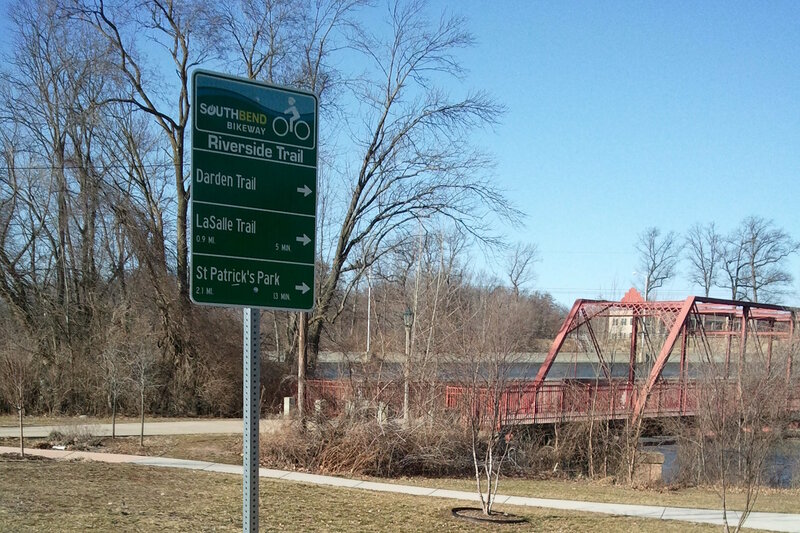 A South Bend Bicycle Wayfinding Committee looked at several sign formats used in United States and European cities before selecting the final design. Chris Dressel, South Bend Bicycle Coordinator stated that the installed signs represent just the first phase of the project, and cover two bike routes: 1) University of Notre Dame to Downtown South Bend (via Colfax Avenue and Notre Dame Avenue), and 2) Riverside Trail from Darden Road to Angela Blvd. A total of twenty-four signs have been installed in Phase I, which consists of 16 decision signs and 8 confirmation signs. Mike Divita, a South Bend Planner who worked closely with the Wayfinding Committee compares the sign system to other U.S. cities and believes it is second to none. Dressel thanked the Bike Michiana Coalition, Bike the Bend, and Grass Roots Media for providing support for the first phase and making planning for the next phase possible. 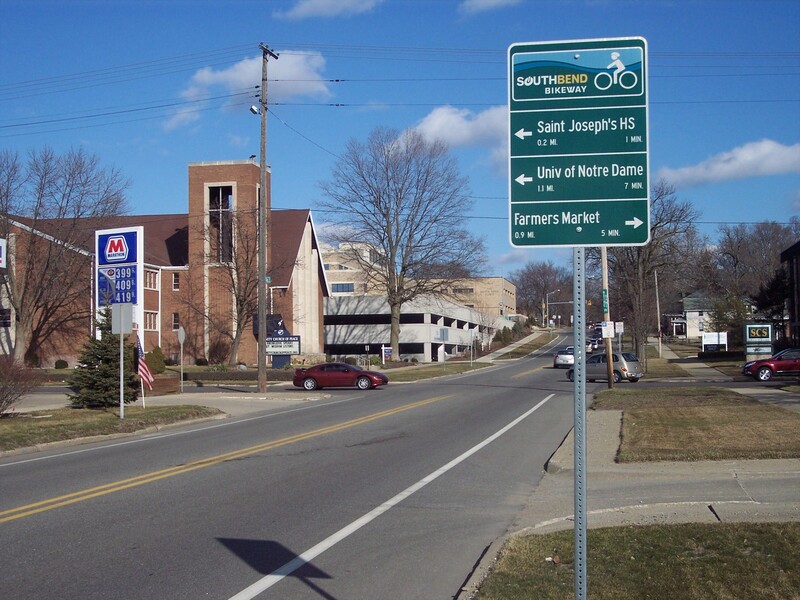 The Bike Michiana Coalition and Bike the Bend, each contributed $2,500 to subsidize the signs. Judy Lee, BMC President’s reaction was immediate. She said it is “like a dream. 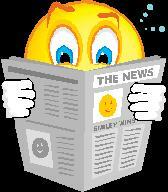 The hard work of so many is becoming reality.” Betsy Kwiatkowski exclaimed in an e-mail “I’ve already seen one sign and it looked awesome!” Glenda Lamont, of Bike the Bend agrees that it is “very good news indeed”, and already is looking forward to Phase II.